Though I could spend months exploring the mountains and valleys in Ladakh, unfortunately it is time for me to start heading south in order to beat the snow which typically starts near the end of September. To do so, I will be taking the one road that leads down, the Leh to Manali highway (the same road I drove on to get up here), and I will be adding on a large loop detour in order to explore two beautiful lakes. All in all it will be over 700km, and I’m guessing it will take me close to three weeks. I will not have internet (seeing as I will literally be in the middle of nowhere, there is not even electricity or permanent civilization in most parts), so I will continue to write blog entries and post them in a few weeks once I have reached the town of Manali. 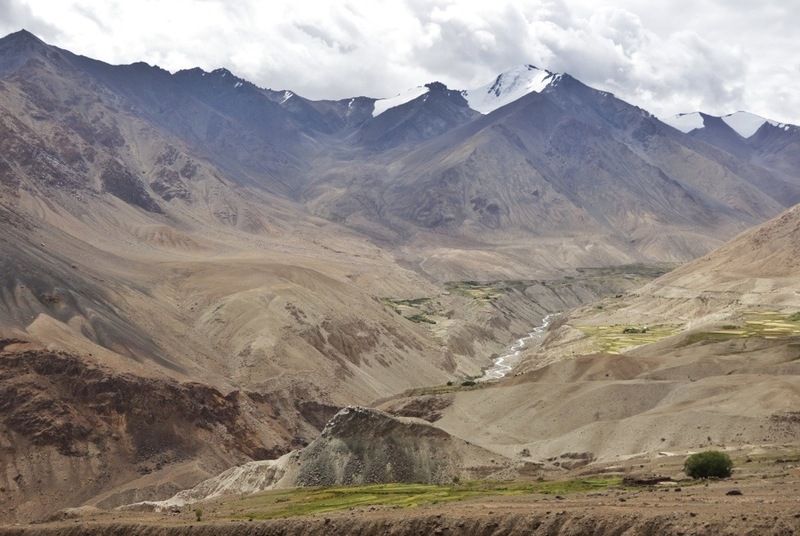 The Ladakh region is an absolutely stunning mountainous region that is so different from the rest of India in every way. The people are friendly, the air is clean, and the scenery is unbelievable. I know I will be back someday, both to cycle and to trek, and I hope someday to visit this region in the winter as well when life here is frozen over. Being in the mountains once again has reminded me how much they are an integral part of my life, and has made me even more excited for Nepal, where I plan to spend months in the depths of the Himalayas once again. This entry was posted in India and tagged cycling, Himalayas, India, Ladakh, snow by The Wandering Nomads. Bookmark the permalink.